The link between a person’s religion or spirituality and physical condition is one that has gained increasing recognition in healthcare discussions. We know well that what affects the body also affects the mind and spirit. They’re interrelated, so to treat the whole patient, you have to address each of these components. To address the needs in times of health crises, hospital chaplains provide a spiritual dimension to health care. For those called to pursue the vocation of chaplain, Wake Forest Baptist Health, under their Division of FaithHealth Ministries, offers internships and a residency program. For those pursuing a chaplaincy, it’s about much more than going to class to reach a graduation date. “The greatest asset anyone who is providing spiritual care for others can have is to be able to share their own faith journey. It comes down to what you’ve learned in your trials and how your faith has helped you. Our interns have 100 hours of education and 300 hours of closely supervised ministry, and our residents, much like a medical residents, join us after receiving a Master’s in Divinity. We have one- to three-year residencies, and those individuals are both employees of Wake Forest Baptist Health and students. They have 20 hours per week of being in the hospital and another 20 hours with curriculum. Our chaplains are interfaith, meaning they can work with a person of any faith or of no faith. If you are in the hospital facing a serious health crisis, your sense of meaning and purpose are usually challenged. 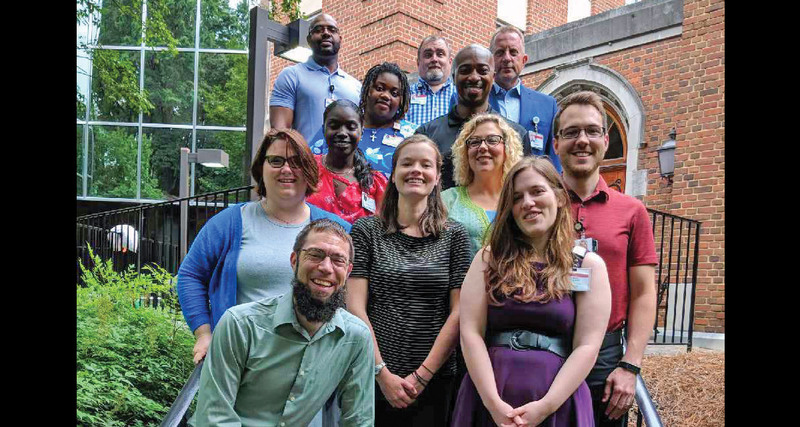 The great joy of being a chaplain is you get to hear the Gospel told over and over through different people, and [then] their faith as their life begins to make sense to them,” said Jay Foster, Director, Chaplaincy & Clinical Ministries. Beyond giving spiritual care to patients and their families, chaplains are also involved with bereavement; crisis ministry; hospitality ministry for the hospital; sacramental ministry; worship services and advanced directives. The reasons a person comes to chaplaincy are as diverse as the patients they care for, but each agrees it is a calling, going beyond a vocation or job. Sabrina Long has had two callings in life, the ministry and nursing. After 15 years as an RN, Sabrina saw the evolution of nursing as not having as much interaction with the patient as it once had and decided to pursue becoming a chaplain. With a Master’s Degree from WFU Divinity School, Sabrina is now entering her second year of residency. “What I do as a chaplain isn’t task-oriented like many of the actions of a nurse. For physical pain, you give medication, and the pain goes away, but with grief, sometimes just being with the patient and their family, offering support in silence, or by talking, is what makes the difference,” said Sabrina. Jeff Vogler was Director of Social Services at the Baptist Retirement Home and then a full-time minister for 15 years. After a divorce, Jeff felt out of place not serving in a ministerial role. In 2012, Jeff began working at Wake Forest Baptist, found out about the FaithHealth ministries, and is entering his second year of residency. “Becoming a chaplain has become a second chance for me at age 55, and I feel alive again. I cherish every day in my role as a chaplain. Sharing ministry with my peers through our curriculum and work with patients is very rewarding. Having a small part in the lives of people during difficult times, giving care, encouragement, kindness, and hope is a wonderful way to serve others,” Jeff disclosed. David Harrison, Jr., took a leap of faith when, after working in IT and software, he entered graduate school at WFU and received his Master’s in Divinity. For David, it came down to wanting to work with people more than he wanted to work with machines. After an internship at Wake Forest Baptist, he came to love the work of a chaplain. 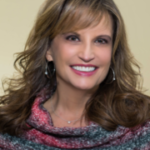 “Being at a level-one trauma center, we see a lot of tragedy, and in a moment I can bring about a place of calmness and connect with another person’s spirit. I let them know that I am there in any way I can be to help them on this road they are on. Outside of the hospital, I am a co-director of a local food pantry and work with those in our community who are food insecure. As a chaplain, I work with cardiology patients and have found that many patients I meet are food insecure and aren’t able to care for themselves nutritionally, and so I work to connect them with community services that can help them. As chaplains, we meet people on the hardest day of their lives, walking with them arm in arm, addressing their fears and concerns. It’s so very rewarding to be there for our patients in that capacity,” commented David. In today’s hospitals, chaplains offer far more than a prayer and a handshake: they are a critical part of a healthcare team helping to address the patient as a whole, encompassing mind, body, and spirit. For more information on WFBH Clinical Ministries and FaithHealth Education, visit www.wakehealth.edu/Chaplaincy-and-Pastoral-Education.